Relocating from one place to another can be one of the most difficult and stressful decisions that you need to make in your life. Simply packing all your belongings can give you headaches. There are lots of things to be done such as bubble wrapping fragile items and labeling every box to indicate what’s inside. All these can add to your stress and anxiety such that after the move you may look a few years older than your actual age! 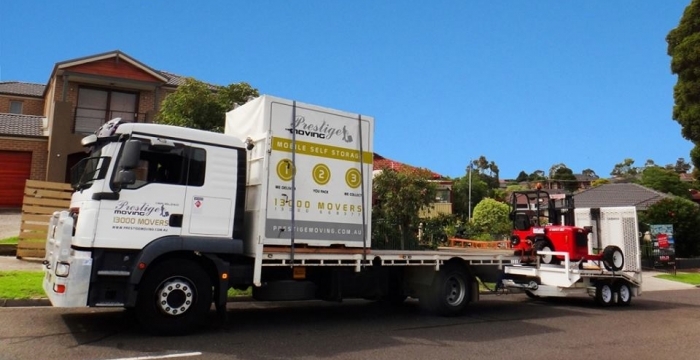 It’s therefore not surprising that people prefer to engage the services of house removalists Melbourne to stay away from all the hassles associated with moving. This is the first thing that you need to do. You have to decide on the specific services that you need from the removalist. Most companies offer a wide range of services but you won’t need all of those. You can cut down on the price by packing your own boxes, but then again if you are strapped for time and you want to ensure that you won’t incur any injury and that all your personal effects will be packed neatly and securely, you will be better off hiring professional removalists. This can prove to be more practical and cost-effective in the long run because you won’t have to ask for assistance from friends and you won’t have to take a leave from work. To find a cheap but reliable removalist, you’ll also need to compare quotes from different service providers until you find the right one. Just go online and search for keywords like cheap removalists Melbourne or moving house Melbourne . The search engine will give you the top players in the removal industry. This will give you the opportunity to learn about each company so you’ll know precisely where your money will be spent on when you choose the firm you intend to hire. Remember that when you request quotes on the services you need, find out if the removalist offers insurance and how much it charges. A company may provide a cheap quote, but if you will end up paying a lot more on insurance, it could be more affordable to select a different service provider. Moreover, when you begin comparing quotes, you may be asked to estimate how long it would take for the packers and movers to load and transport all your stuff. Some companies charge on an hourly basis instead of a flat rate so it can be helpful to know how much time it would take to get the job done. When searching for the best and the cheapest removals, see to it that you also inquire about possible discounts that you can avail. Removalists normally charge less on weekdays than they would on weekends. Hence, if you can find time to move on a weekday, you’ll get cheaper quotes. Note that there are also movers that offer discount vouchers, promotional and/or senior discounts. Every penny counts so take advantage of these perks and promos! Asking referrals from friends and relatives is another way to find cheap removalists. Seek out references of movers that they have used in the past. Ask about the cost and the quality of service they got from any particular company. If you are searching online, go through the customer reviews and client testimonials as these will also help you determine whether the removalists are experienced or not. It is always advisable to only commence the services once you have received a written contract that clearly states all the details that you had agreed upon. Read the contract carefully and make sure that all details are correct and all the costs are covered. The important bit of information to extract from this post is that not all companies offering cheap house removals compromise on quality. It is possible to hire a removalist for an affordable price and get top-notch service at the same time. Do some research, get some quotes, sit down and decide which company offers the best value for your moving needs. Get in touch with them so they can help and guide you through the entire process. You’ll realize that there’s no need to dread moving, and more importantly, it doesn’t need to cost you a pretty penny.